Hemp and marijuana are related in much the same way dogs are related to wolves. Both plants are varieties of the species Cannabis sativa, just as both animals are sub-species of Canis lupus. Domestic dogs may share some similarities with wolves, but as you know, they also have many vital differences! Similarly, when it comes to important aspects such as the usage and chemical content of hemp and marijuana, the difference is night and day. 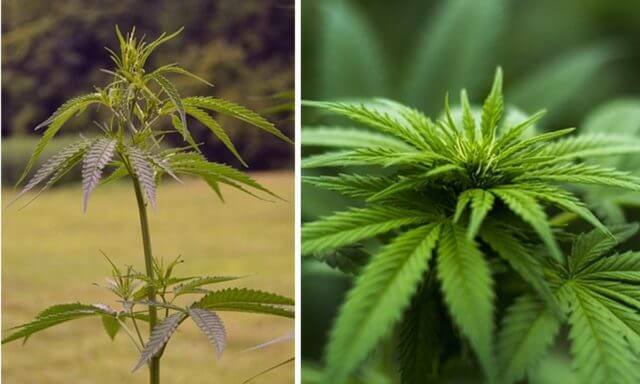 Hemp and marijuana look very different. Tall, sturdy hemp plants are one of the oldest domestic crops, grown by early civilizations to make food, oil and textiles. The bamboo-like shoots can grow up to 15 feet in height. Conversely, marijuana plants tend to grow low to the ground and spread out in a bush-like pattern rather than a tall stalk. Even the portion of the plant utilized is different. Growers cultivate hemp for its stalks and seeds, but harvest marijuana for its leaves and flowers. The THC Content is dramatically different between the two plants. Cannabinoids are chemical compounds found within cannabis plants, the most controversial of which is THC. The elevated levels of THC in marijuana are responsible for its signature “high”. For this reason, marijuana is selectively bred to contain higher levels of THC, while hemp naturally has very little. For comparison, a study conducted by Charas Scientific, a private lab in Denver, Colorado, found that recreational marijuana contains up to 30% THC. The hemp used to create products for humans and animals contains a maximum legal amount of just 0.3% THC. To improve the safety of their products, some companies even go through the expensive process of removing all traces of THC. Hemp is low in THC, but high in CBD. Both hemp and marijuana contain another important cannabinoid called CBD which helps treat several medical conditions. Hemp produces more CBD than marijuana, making it the preferred choice for battling epilepsy, anxiety, chronic pain, and more. CBD oil from hemp is legal in all 50 states. Since CBD oil from hemp contains no more than 0.3% THC, it is legal across the United States. Oils made using marijuana, however, still face pushback in many states due to the potential risks associated with higher levels of THC. Why is hemp beneficial for your dog? 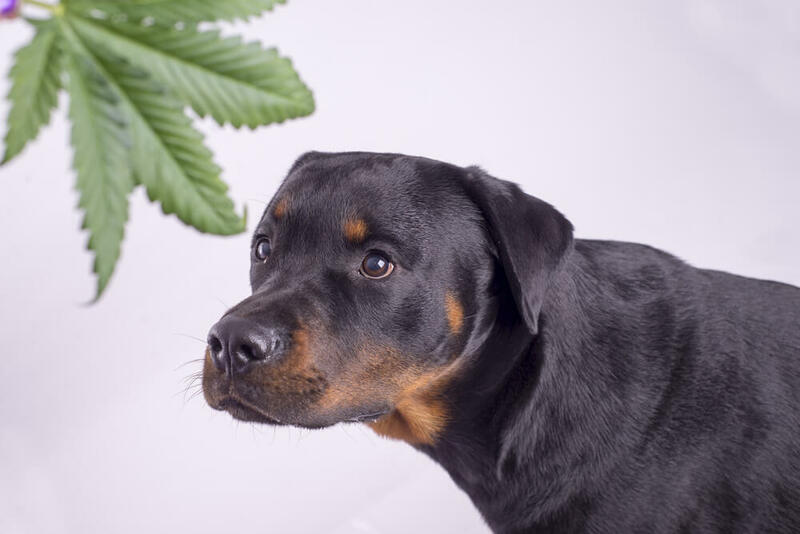 Best of all, with CBD oil derived from hemp, you do not have to worry about your dog getting high, overdosing, or experiencing the serious side effects of THC. Unfortunately, not all CBD oils are created equal. When it comes to hemp and marijuana products, you should always choose a CBD oil derived from hemp for your dog! Not only are they safer, these oils are far richer in healing CBD because they are made from hemp. 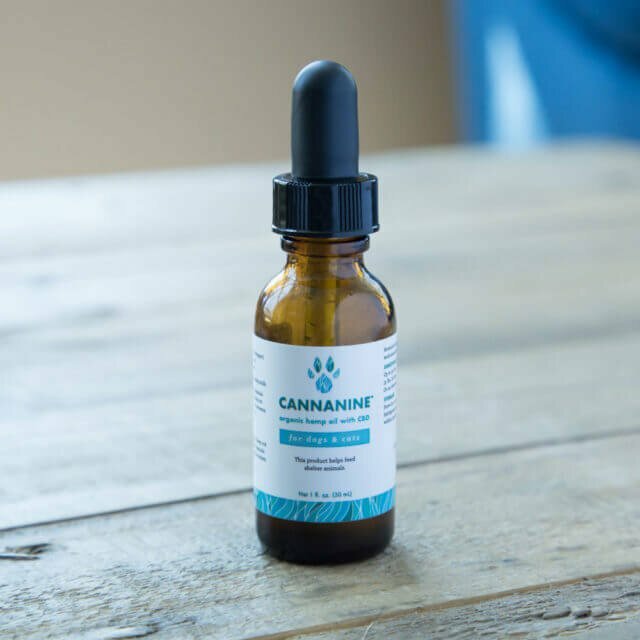 Your pup deserves the best, and that means a CBD product made from organically grown Colorado hemp like Cannanine™ Organic CBD Oil. Cannanine is non-GMO and free from heavy metals and bacteria. Because it is formulated specifically for dogs and cats, every trace of THC has been removed to ensure the safest, most effective product for your pet. At iHeartDogs we believe every dog matters. That’s why we recommend safe, organic, THC-free Cannanine™ CBD Oil from Hemp for your pup.